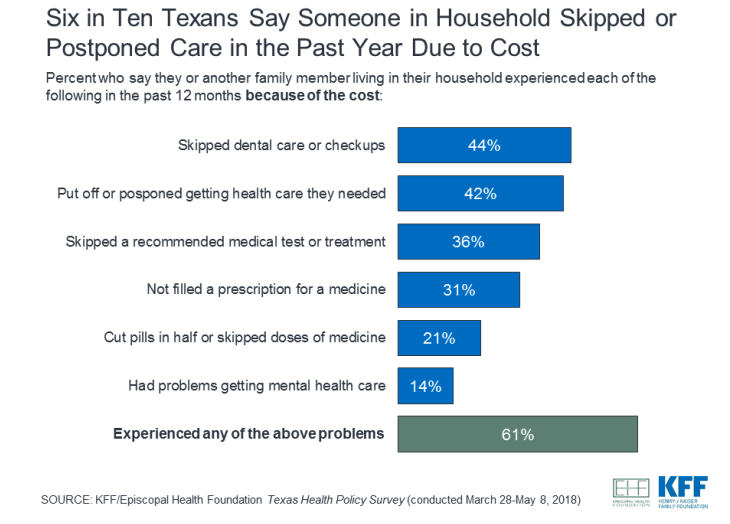 Many Texans are struggling to afford health care, according to a new survey released by the Kaiser Family Foundation and the Episcopal Health Foundation. 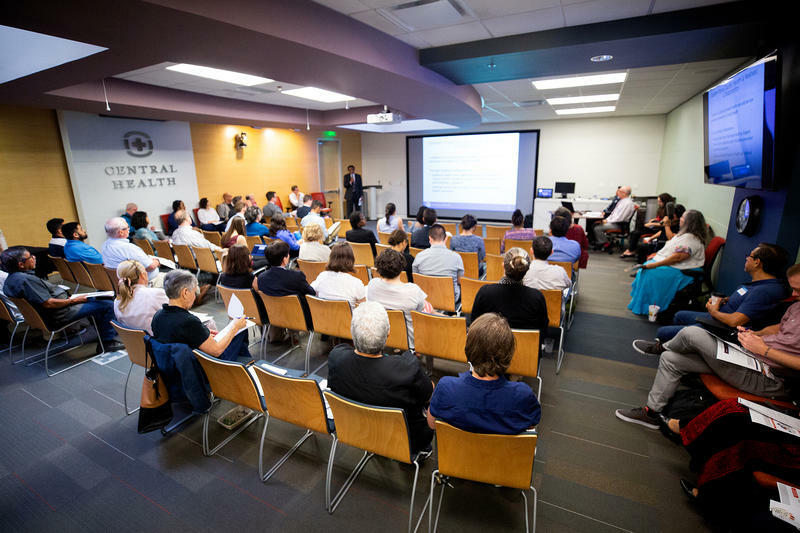 The study found more than half of those surveyed (55 percent) said it is difficult for them and their families to afford health care; a quarter said it is "very difficult." Furthermore, 3 out of 5 people surveyed reported foregoing or postponing care because of the cost. Those same people said they or a family member have at one point skipped getting dental care, postponed needed medical care, skipped a recommended test or treatment, not filled a prescription, cut pills in half or skipped doses, or faced obstacles getting mental health care. 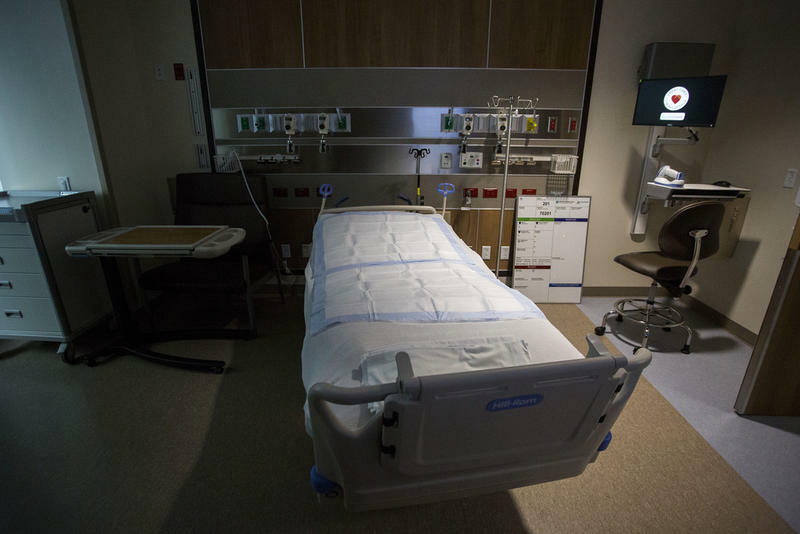 "These are really unfortunate choices that people have to make because of the high cost of health care for people who are insured and uninsured," said Elena Marks, president and CEO of the Episcopal Health Foundation. Marks also said health care affordability issues are worse in Texas than in the rest of the country, largely because many people here don’t have health insurance. For example, she said, 61 percent of Texans surveyed said they have skipped or postponed medical care because of cost. Nationwide the average is 48 percent. 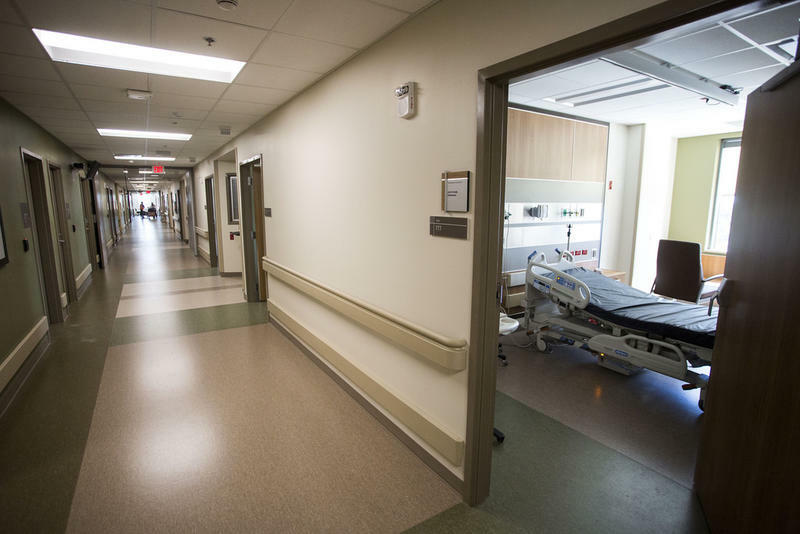 "Because we have the highest percentage and highest number of uninsured adults in Texas, it’s not surprising that we would have higher than the national average people reporting skipping care or being unable to afford care," Marks said. "The problems are bigger in Texas." Cost is also what's keeping many people from getting insured. According to the survey, half of uninsured Texans say the main reason they do not have insurance is because it's too expensive. That’s compared to 15 percent of people who cite employment issues, 7 percent who say they don't want it and 7 percent who cite citizenship/residency issues. Health care also topped the list of financial concerns for Texans. Comparatively, fewer people expressed concerns about being able to afford housing, utilities, transportation or food. 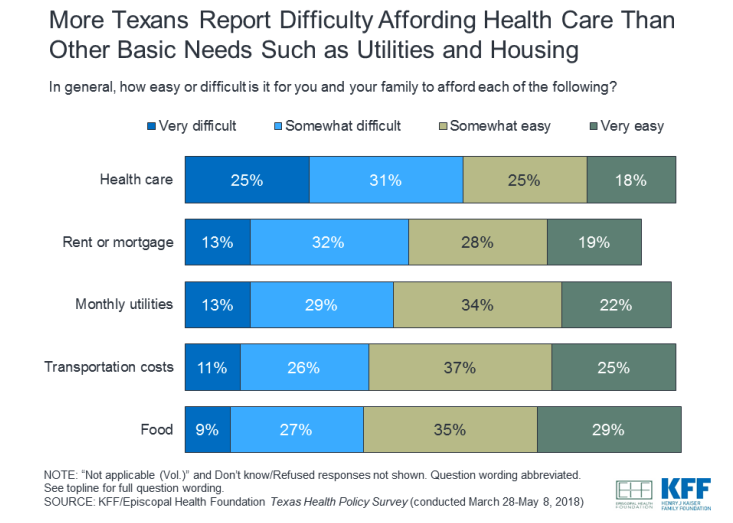 Texans think the Legislature should expand Medicaid to more low-income people and make health care more affordable, according to a survey released today from the Kaiser Family Foundation and the Episcopal Health Foundation. One of the burdens of a serious health condition, like cancer or a chronic immune disease, is the heavy medication necessary for treatment. 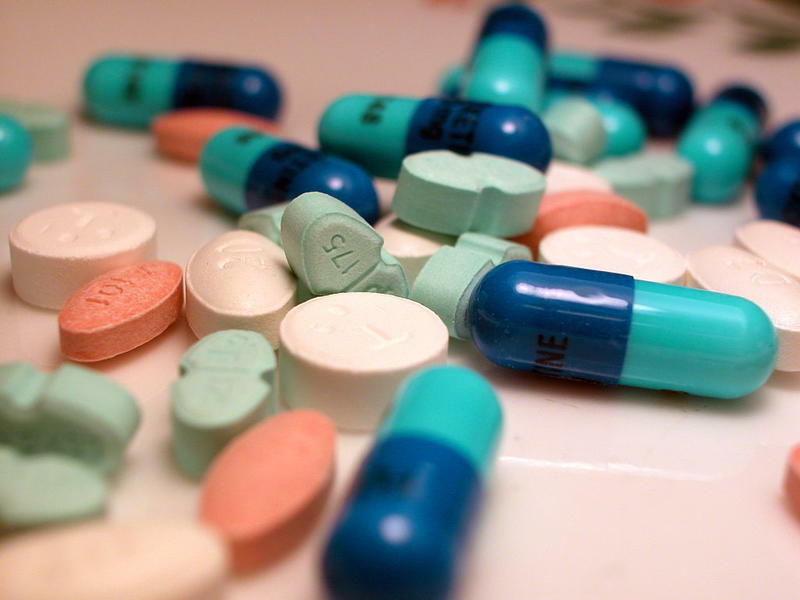 The cost of one day’s medicine can be surprisingly expensive, and that doesn’t take into account the physical toll and side effects that the drugs can have on one’s body. Public health officials say housing prices are forcing low-income and minority communities farther east – and farther away from public resources in Travis County. 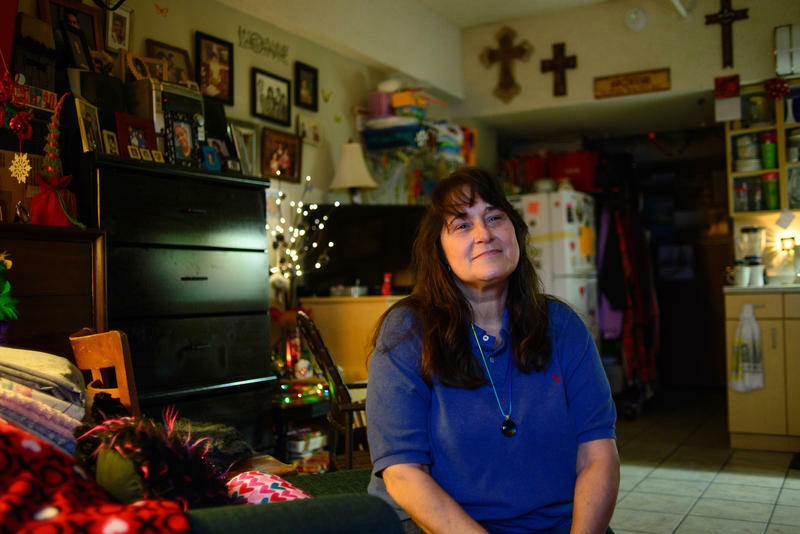 Kerstin Taylor’s home is evidence of a life rebuilt. It’s filled with her grandmother’s paintings, Christian crosses, photos and stuffed animals.